We train you for the industry of the future. More and more games are using live orchestra. Video games frequently have both the budget and the scale of ambition to support a large, epic fantasy score, or a thumping action soundtrack. Our MFA is the perfect combination of skillsets for composers with the drive and determination to reach the top in video games music. Video Game Composition and Orchestration has been developed in close consultation with the industry to ensure you are learning the skills that the profession requires. The MFA course is an advanced degree that prepares you to write technically demanding, interactive music that you will learn to implement in the game using industry standard middleware such as FMOD and Wwise. At the same time, you will learn to realise your scores as both professional grade sampled mock-ups and prepare them for live orchestra. You will learn to write for live players, prepare scores for a variety of applications and correctly manage pro tool sessions. There is no other course in the world that offers lecturers and support staff as well connected as ThinkSpace, and no offline campus can compete with our wealth of talent from around the globe. Live solo sessions: hear some of the world’s best session players perform your music and give you personal feedback. Personal 1-to-1 tuition from top professional composers and game audio directors. 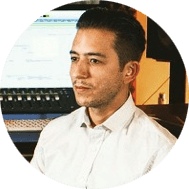 Learn how the biggest names in the business go from digital audio workstation to live score. Find your voice as a composer, with help from supportive, yet honest, feedback from leaders in the field. Regular online workshops and tutorial groups, online discussions and exclusive webinars. Electives in Pro Tools for film composers, advanced Sibelius and many other choices (see Course Content). A real-world approach to professional composition that combines training in sampled mock-ups with live orchestration and score preparation. There is no other course in the world that offers tutors and support staff as well connected as ThinkSpace Education, and few offline campuses can compete with our wealth of talent from around the globe. Learn to create work in an adaptive and interactive genre, tackling challenges unique to video games. You will produce professional quality sampled mock-ups and well produced demos. We will help you develop a voice of your own so you can stand out from the crowd. You will learn what the market expects, what producers and directors are buying right now, and how to deliver market-focused music. You will learn to write faster and more productively so you can hit deadlines and make a living. We will help you develop your compositional technique and encourage you to explore a wide range of creative approaches. You will orchestrate awe inspiring live and sampled orchestral games music and learn contemporary commercial standard practice. We will take you through each section of the orchestra led by some of the world’s top film session players. You will learn to produce professional-quality scores using Sibelius or Finale and record-ready Pro Tools sessions. The research and critical thinking module will help you put media music in context and teach you valuable research skills. You will learn about music business, copyright, how to find work, how to pitch, create a demo reel and develop a career. You will learn the power of music to tell stories and build character. You will learn how to use inexpensive and readily available field recording equipment to produce atmos, spot-effects and Foley. You will learn different ways of creating an interactive strategy to allow the score to respond seamlessly to the game play. You will learn to use FMOD and WWise to implement your music interactively in fully functional Unity games and game levels, many specially licensed for the course, including commercial releases. You will learn to compose music for a wide variety of different game genres from mobile puzzle games through to action and racing games. Luke is a composer studying the MA in Professional Media Composition. He’s based on the Isle of Wight, with a history in Rock & Pop. During his studies Luke has advanced his skill set beyond his original comfort zone; moving from writing by ear to understanding music theory, through to writing music for commercial television advertisements! Luke talks about life as a ThinkSpace student, the benefits of the online campus and collaborating with other students from around the world. If you are considering a ThinkSpace master’s degree and want to speak directly with one of our current or past students in a similar position as you, then drop us a line and we’ll put you in touch. 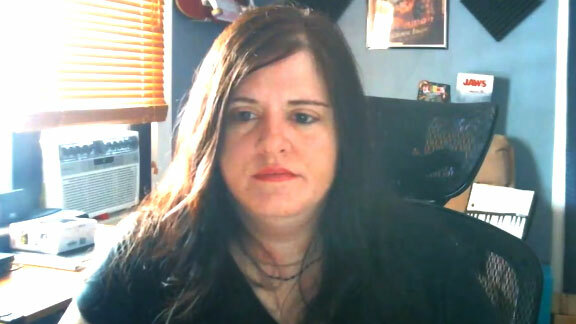 Claire Fitch is a composer and sound-designer who has been working on independent game scores across a wide variety of genres since 2003. Clients have ranged from Intel, AMD, Adobe, Blender and Riverdeep to Forfas, Galway City and Northern Ireland Science Park. 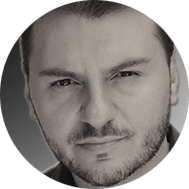 Erik Desiderio has worked on more than fifty films, producing the score for the Academy Award winning film, The Moon and the Son, the Immortals and the multi Emmy Award winning series, The Borgias. Television work includes composing music for Entourage, and the Primetime Emmy Awards. Video game work includes clients such as: Blizzard, Bandai Namco, Nintendo and Cartoon Network Games. Gina Zdanowicz is an Emmy-nominated sound designer and music composer for games, film and TV. 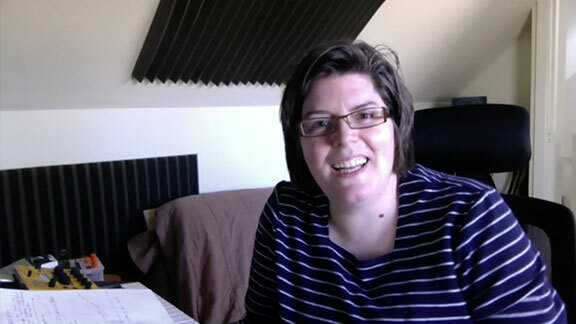 A Berklee College alumni, Gina operates her own independent sound studio, Serial Lab Studios. Her work can be heard hundreds of game titles, from award winning AAA to casual such as Just Cause 3, Paladins, Bioshock 2 and The Bureau: XCOM Declassified. William Boston has enjoyed a nearly thirty-year career as a media composer, arranger, film music orchestrator and, in recent years, music educator. Orchestration credits include: Star Trek: Enterprise, I, Robot, Zathura: A Space Adventure, Cloudy with a Chance of Meatballs and many others. Additionally, he has written a number of works for concert performance including pieces for various small chamber ensembles, chamber orchestra, wind ensemble, concert band and percussion solo. Bill was a 1994 recipient of the BMI Pete Carpenter Memorial Fellowship, which included a seven-week internship with television music composer Mike Post. Erasmus Talbot has worked for various platforms including all major consoles as well as iOS and PC. In 2013 he won the pitch to compose the soundtrack for Elite Dangerous, a major MMO title, which launched in its first iteration in 2014 but was being developed over 8 years. In 2014 Erasmus was the first composer to implement a game score using the new middleware Elias, for the Arrowhead’s game Gauntlet. Erasmus currently divides his time between living in Brighton, UK and Stockholm, Sweden. and Adult Swim’s Robot Chicken. Among films he’s written for are Doug’s 1st Movie, Aladdin III, The Pebble and the Penguin, All Dog’s Go To Heaven II, Aladdin and the King of Thieves, All Dogs Christmas Carol, Babes in Toyland, Tom Sawyer, Alvin and the Chipmunks Meet Frankenstein, The New Adventures of Tom Thumb and Thumbelina, Jingle Bells and The Tangerine Bear. Finally hear your composition brought to life with a live session performed by a professional 50-piece session orchestra. A dream come true and, potentially, the ultimate calling card and door-opener to a new career. Our real-world project based approach, tutored by working professional game composers and audio directors, is designed to help you compete at the highest level. Being able to provide a complete musical service makes you much more employable. Throughout your course you will have the chance to have your music performed by some of the world’s best session players in our live solo sessions. You write a cue, they play it, we film the session and the player gives you feedback and advice. You get a world-class performance for your demo reel. On successful conclusion of your course, you will be awarded a Master of Fine Art degree from the University of Chichester. All UK degrees, including those of the University of Chichester, are recognised worldwide. The qualification is fully accredited in the UK and subject to regular quality control, review and external invigilation to ensure the highest academic standards are maintained. 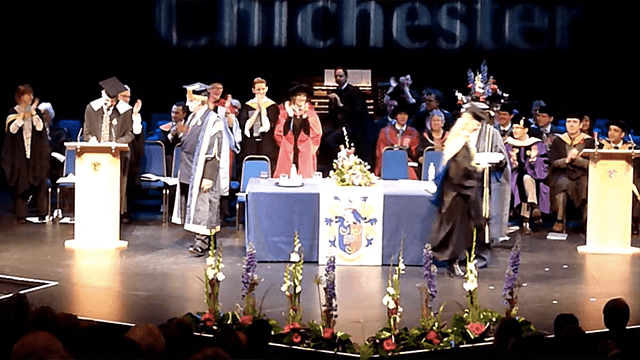 The graduation ceremony takes place in Chichester each year where you will receive your degree alongside your fellow students and the rest of the University Of Chichester’s graduates. This is a rich and rewarding module that is closely tied to the practical projects. Designed by leading game music academic, Dr. Tim Summers, this module leads you deeper into the conceptual thinking surrounding games and orchestration. It gives you the research tools to reflect on your own work and to draw more meaningful conclusions about the nature, structure and future of video game audio and music. A chance to get up to speed with a core skill. Remember, you get full access to all the course materials, on all courses, and all electives so, just because you choose Sampled Orchestration for example, it doesn’t mean you can’t dive into the course materials on Sibelius as well. There is a second elective module later in the course so you may choose a different, second option then. Learn to produce professional grade sampled mock-ups. How to build a large template, efficient use of memory and CPU, techniques for making your mock-ups sound more realistic. Everything you need to start making money from your music in film, games and television. How to set up a Pro Tools session for a live orchestral recording. Producing industry standard scores, parts and record-ready Pro Tools sessions. We look at a selection of string and woodwind sample libraries and effective techniques for making your demos sound more realistic. You will have your music recorded by a professional instrumentalist who will give feedback on the suitability of the writing. Scoring, sampled mock-ups and a special look at big band writing. Bringing it all together with techniques for both large and small ensembles. You start with an intensive course in audio middleware that you will use to implement your music in a game. You will also learn about memory budgets, CPU restrictions, game engines, different platforms and version control. Discover who does what and how game audio teams are put together. Your first practice based module during which you’ll be creating sound for a range of puzzle games, an infinite runner and a simulator. It’s all about learning to work to a brief and finding a creative space inside the game aesthetic. 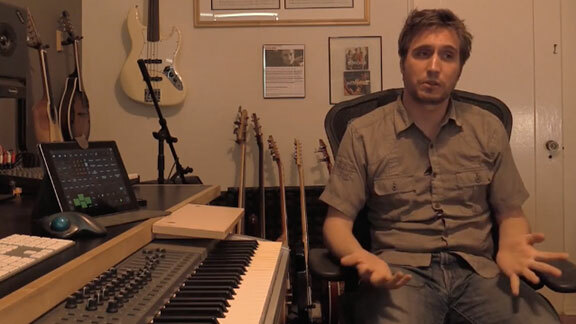 You’ll be learning about atmos loops, spot FX, and choosing and implementing music. The main focus is on one of the fastest growing and most accessible sectors, mobile and handheld gaming. Writing music that responds to game play and enhances the players experience is the aim of every composer. In this module you will be learning basic adaptive music strategies and implementing them inside the game using the audio middleware. Throughout the course music composition and in-game implementation will become inextricably intertwined. This time the focus is on working with very small indies, those bedroom developers who can go on to great things. In addition to the choice of electives from Module 2, you’ll have the additional choices of Advanced Game Music 2 and Wwise. Learn this widely used piece of middleware and implement your sound and music interactively in game environments. This is a substantial piece of work taking 12 weeks to complete. It will take the form of a major project or portfolio of smaller projects in which you write and implement music inside a game. You will also demonstrate your ability to score for live orchestra, produce scores, Pro Tools sessions, and a professional standard sampled mock-up. You will also write a commentary on your work to explain your choices and problem-solving strategies. As an alternative to the final major project, you can complete a 12,000 word dissertation on a topic related to composing for video games and games orchestration. Full details are in the course handbook. Access All ThinkSpace Course Materials. There are thousands of videos available to our students and every single one is available to master’s students. You have full access to all the course materials on all our other courses, including all the degree and non-degree premium courses. Course text, videos, project materials, online workshop library – everything you could need. Choose the degree course you feel most comfortable with, and then explore new challenging areas like interactive interactive audio for games, sound design and scoring for other media. These are estimates and the exact amount of time will depend on each individual student. It includes, live workshops, one-to-one tutorials, reading and watching video tutorials and project work. The course fee includes the cost of a live orchestral session. Full-time and part-time students pay the same. start from £69, $96 or €87 a week. We offer an interest-free instalment plan where you can spread the cost of your course and graduate debt-free. Students will be required to pay a deposit on enrolling. For more information on this, please contact the course manager. For a more detailed summary of fees and finance procedure, please visit the dedicated Student Finance page. For FAQs, and more information please visit the Applications & FAQs, Student Finance and Study With ThinkSpace pages. For applicants whose first language is not English, we will need you to provide an English language test certificate. There are several English language tests, including IELTS, TOEFL and CAE. We require you to have an overall score of IELTS 6.5 or higher to participate in the programme, with no element less than a score of 6. This equates to a TOEFL score of 79 and a CAE score of 176. The test must be taken before your course start date. Applications may be accepted provisionally pending test results. If you have completed your undergraduate degree, or any other postgraduate degree that was taught in English you will not need to take an English Language test. You will need a computer, software and ancillary equipment (monitors, hard drives), Mac or PC, capable of producing professional quality music and audio, and recording equipment. This is the overriding principle and the following minimum technical specifications are given for guidance. Graphics card, Nvidia GTX 550 Ti or equivalent, 2GB VRAM. You will be uploading and downloading a large quantity of material so you should have access to a reliable broadband connection with a recommended speed of at least 5Mbs. We have found that the Google Chrome browser is the most compatible with the webinar software we use which will also be an important part of your course. All your assignments are uploaded through the student portal on our website. Some very large uploads might require standard FTP client software, for example CuteFTP on a PC or Transmit on a Mac. In order to mirror a real-world professional working environment, this is an intensive course with strict deadlines. As such, students must have acquired and be competent in the use of the minimum technical requirements prior to starting the course to get the most out of it. Students may be eligible for significant educational discounts. DAW (Digital Audio Workstation). We expect you to have a working knowledge of one DAW. You need to have a copy of the following programs but we do not expect you to know how to use them. The exact version number of this software is important, and the version we support may change. Full information on the current approved course software version is available when on the course. Unity, Fmod and WWise are able to be downloaded for free. Sampled instrumental libraries sufficient to produce a professional level sampled mock-up. Eastwest Composer Cloud, the Spitfire Audio libraries or Cinesamples Symphony Bundle will all give you that sound. You need samples of individual instruments or sections, not ensemble libraries like Albion. • Audio database software such as Mutant or Sound Miner. For queries about any other platforms, please contact the Course Manager. To produce live orchestral scores and parts you will need score writing software. We officially support Sibelius, however if you wish to use Finale we can also accommodate this. Applicants should have an undergraduate degree in any subject. There is no entry by RPL for our MFA courses. If you do not have an undergraduate degree, you might be eligible to join one of our MA programmes instead. My name is Tim and I am the postgraduate Course Manager here at ThinkSpace Education. If you have any questions that you’d like answering, please don’t hesitate to fill in the contact form below, or email me at postgraduate@thinkspaceeducation.com.